7 December 2009, at 9:48a.m. 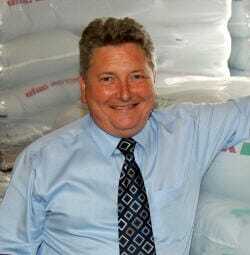 UK - Dr Donald Lawson has been promoted to UK sales and marketing manager by Newmarket-based animal feed supplement specialists Ufac (UK) Ltd.
Dr Donald Lawson, Sales and Marketing Manager, Ufac Ltd.
“Changes in the feed industry, with more emphasis on utilising home-grown products, farm mixing and the growth of TMR (total mixed rations) in the ruminant sector have created opportunities for Ufac,” commented Robert Jones, Ufac’s managing director. Dr Lawson, whose career spans both the academic and commercial fields, joined the company in 2008. He gained a BSc at Aberdeen University and a PhD at the University of Glasgow before taking nutrition-related roles in the research, advisory and sales sectors of the feed industry.